NOTE: Lifting platform can be used as a "beach" and can lift the tender with guests in it from the water to the main deck level. Newly-formed Curvelle Yachts has launched catamaran yacht QUARANTA, their 2013 flagship and first crewed catamaran charters vessel. 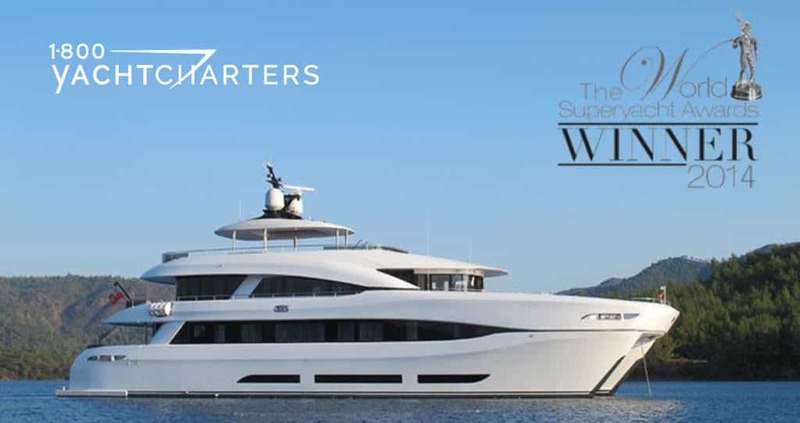 The company built motor yacht QUARANTA, the largest carbon hybrid composite power catamaran in the world, with the goal of changing cruising forever. As the flagship and first vessel of the new Curvelle family, four years of development went into the project, which resulted in a hull that boasts many innovative design features and some unique selling points. 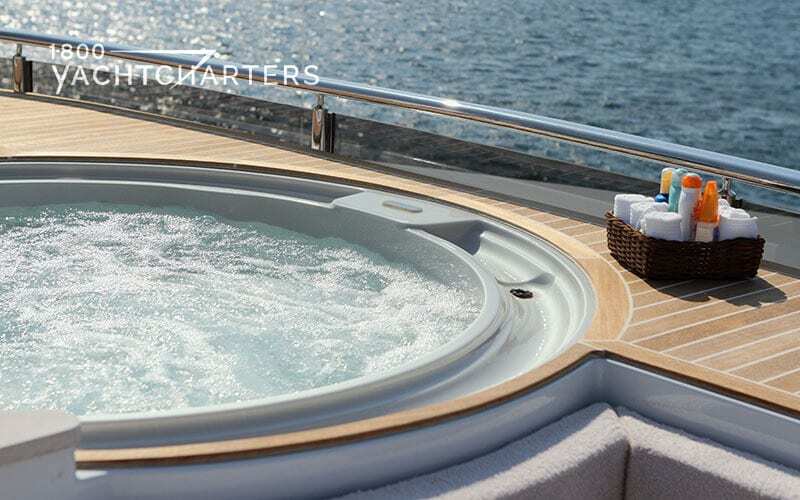 Curvelle, a British-based company, chose Turkish-based Logos Marine as principal build contractor for catamaran yacht QUARANTA. 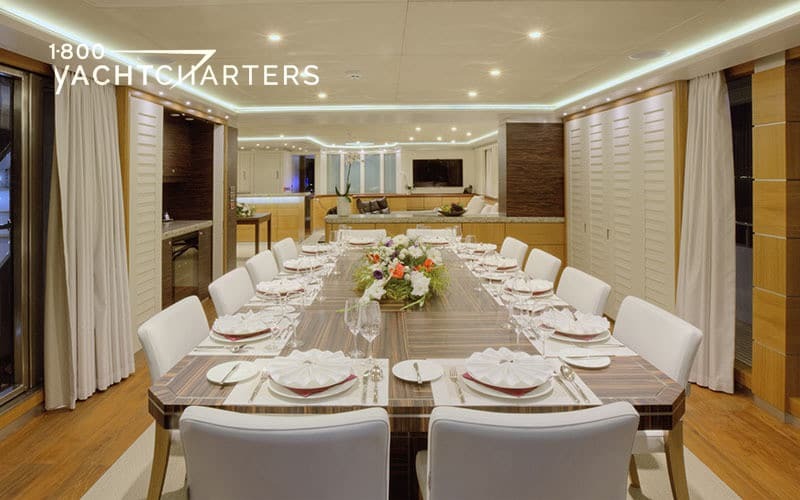 Interior and exterior styling is by London-based Lila Lou Studios, with Incat Crowther onboard as the naval architects. With a flexible layout, the vessel’s six double cabins can accommodate 12 guests, and be converted into three VIP suites, six twins, doubles or any combination of these, while still comfortably topping crew space requirements in compliance with strict new crew accommodation regulations. 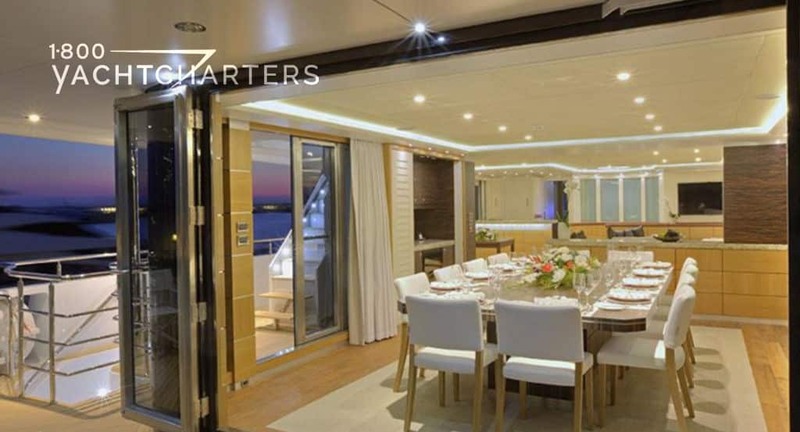 To assure unobstructed panoramic views, all guest cabins are located on the main deck and fitted with large windows. 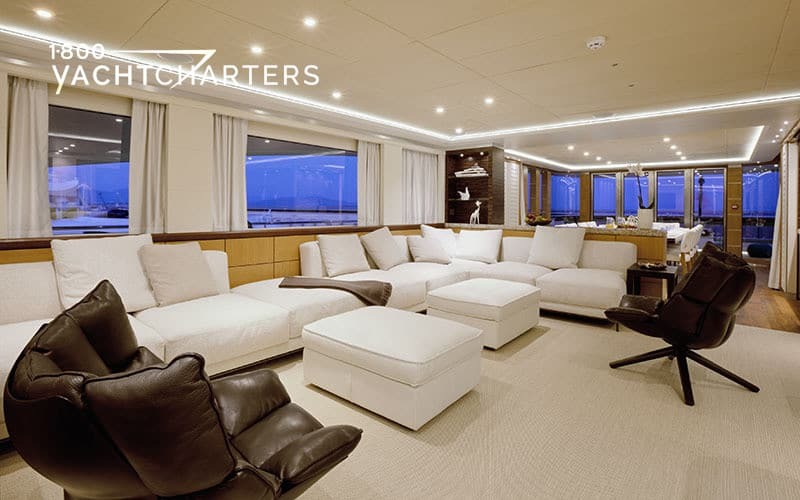 With four decks and a nine meter beam, she provides about 50 per cent more guest accommodation space than a comparable 30 meter monohull. 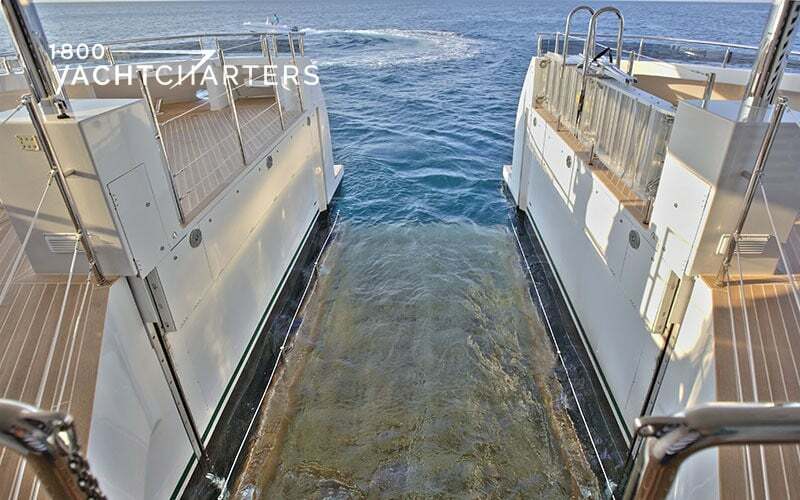 There is wide open deck space on the mid and upper deck plus a large deck space on the Main Deck, including a unique lifting platform/beach that lowers the guests and the tender straight from the main deck into the water. Anticipated ports of call will be Antibes, Cannes, Nice, Monaco, as well as Eastern Mediterranean hotspots for Greece yacht charter and Croatia yacht charter holidays. A similar vessel, the Sunreef 70 power catamaran DAMRAK II is also available for hire in the Mediterranean in the summer months.